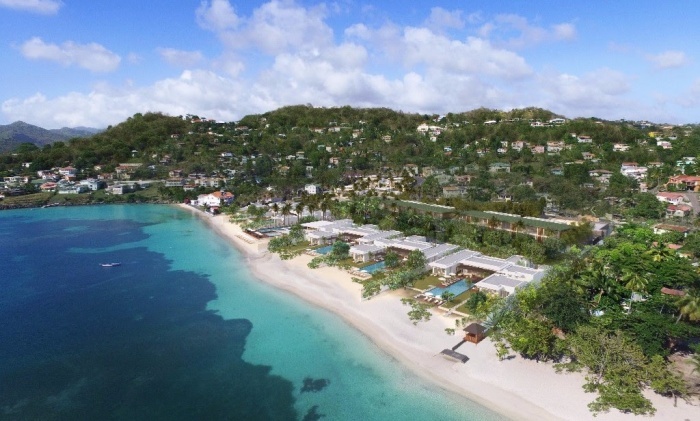 This new modern luxury property will be located along the southwestern tip on beautiful Grand Anse Beach. Silversands will feature 44 suites and nine residential villas. Guests and villa owners will enjoy the intimacy and exclusivity of a boutique hotel along with five-star experiences and amenities. 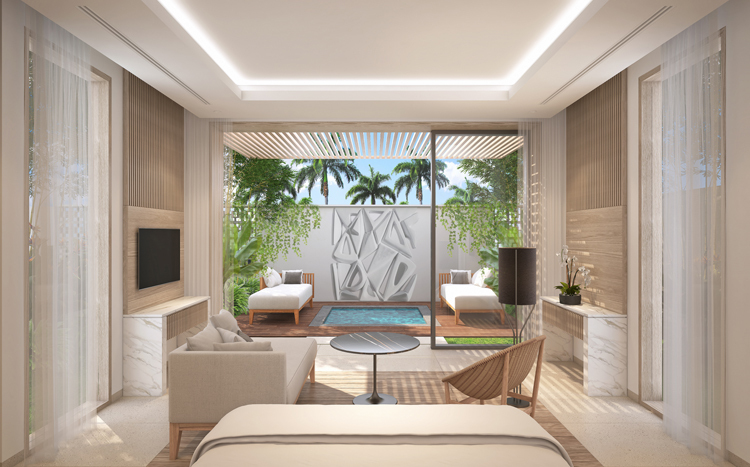 Each of the hotel’s spacious suites will feature chic minimalist interiors. Nine residences will also be available for purchase, including five Seaside Villas and four Hillside Villas ranging from 13,500 to 26,500 square feet. Casual breakfast and lunch will be served at the Beach Club with menu items including line-caught fish, handpicked fruits, and vegetables along with Grenadian craft beers, rums and wines from around the world. Guests will enjoy access to a full-service spa with four treatment rooms, a sauna, hammam, swimming pool and gym. The property will also include a private beach club with resident DJ, and curated rotating art collections.